Offering a fitness centre and indoor pool, Hampton Inn & Suites - Cincinnati/Kenwood, OH is located in Holiday Acres. Each room at this hotel is air conditioned and is fitted with a flat-screen TV with cable channels. All rooms are fitted with a private bathroom. 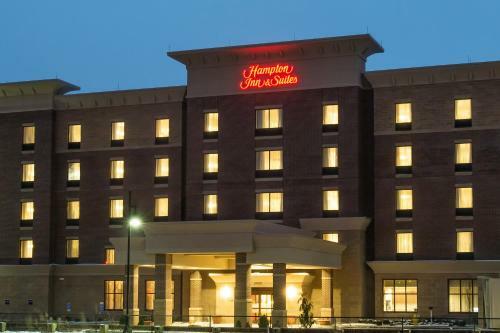 Hampton Inn & Suites - Cincinnati/K features free WiFi throughout the property. You will find a 24-hour front desk at the property. Cincinnati is 16 km from Hampton Inn & Suites - Cincinnati/Kenwood, OH, while Bellevue is 14 km from the property. The nearest airport is Cincinnati/Northern Kentucky International Airport, 30 km from Hampton Inn & Suites - Cincinnati/Kenwood, OH. the hotel Hampton Inn & Suites - Cincinnati/Kenwood, OH so we can give you detailed rates for the rooms in the desired period.